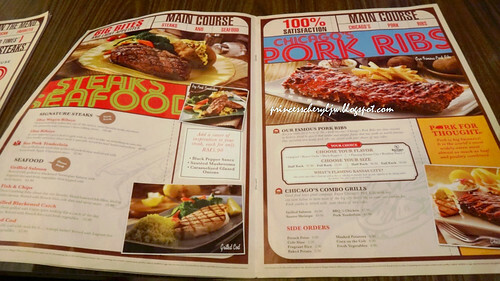 For those who love pork cuisine, you should go to Chicago Rib House. 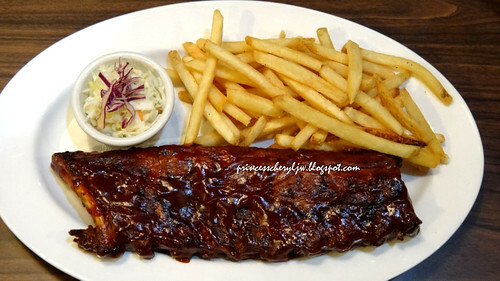 It is famed of serving BBQ ribs and steaks. 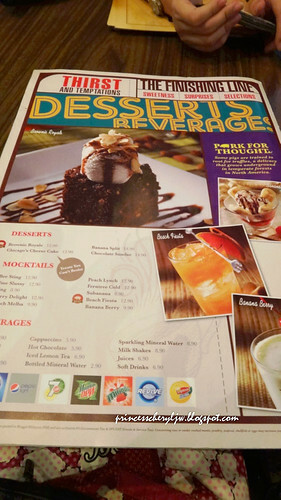 They just launched their new menu a couple of months ago, so worth a visit. 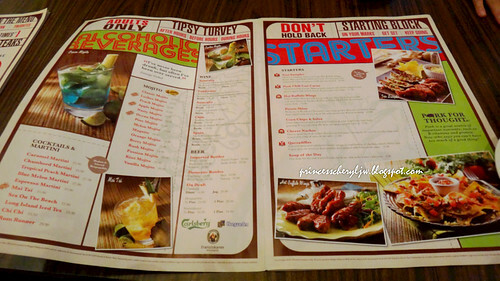 A few of us were invited to try out their new menu at the outlet of Penang Gurney Plaza. 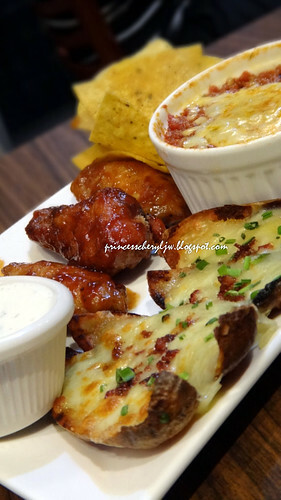 Three’s a company when you’ve got Hot Buffalo Wings, Potato Skins and Pork Chili Corn Carne. It’s matched with homemade Salsa dressing to really get you started. Cheese upon layers of mixed cheese is melted atop a mountain of crunchy tortilla chips and served with a dip of salsa on the side. 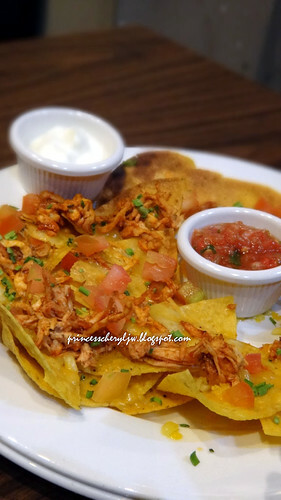 There were shredded chicken, chopped spring onions and fresh tomato cubes garnished on the chips as well as with an additional ranch dressing provided. 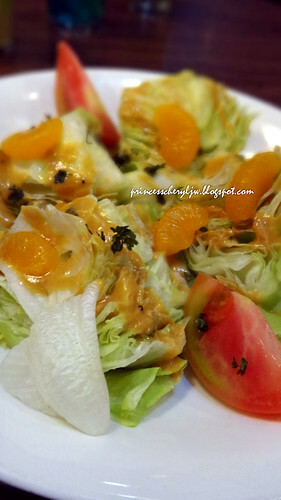 Fresh Iceberg lettuce in our lime & peanut dressing with tomatoes and mandarin oranges. 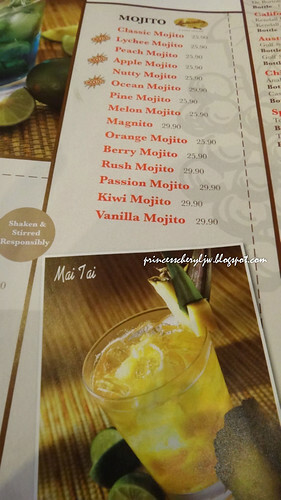 Truly, an Asian sensation with a twist. 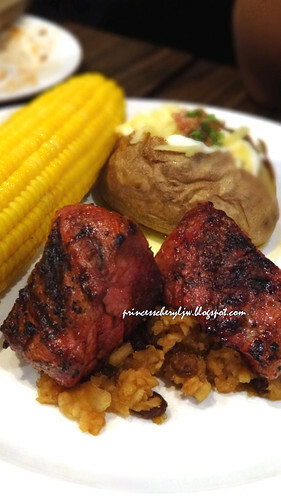 Two grilled pork tenderloin grilled till pork-fection and served with homemade Apple Cinnamon sauce. 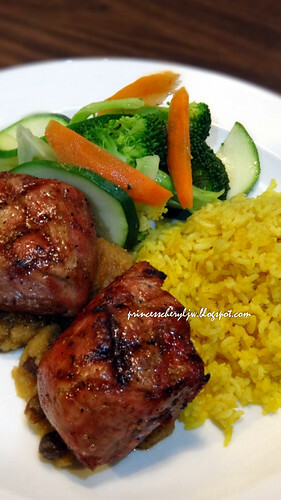 Are you ready for a taste of the s-pork-tacular? 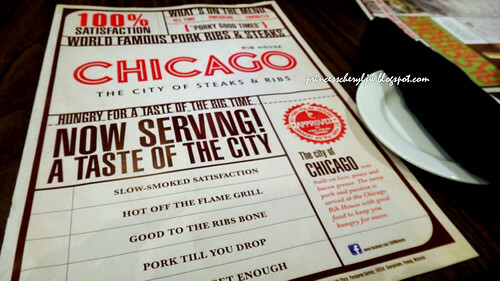 Chicago’s Pork Ribs are slow-roasted in hickory wood to give it that tender and unique flavour that has made us world-famous. 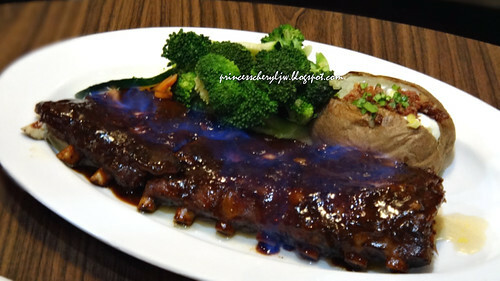 Our succulent and meaty pork ribs are served with your choice of two sides. 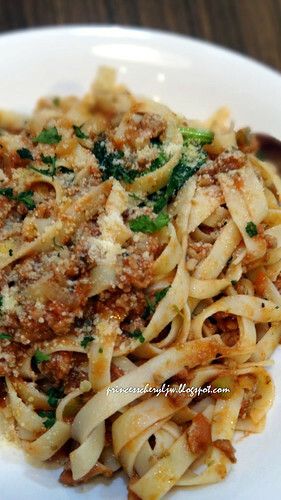 Bell peppers, red onions and minced pork served with al dente fettuccine topped with parmesan cheese. 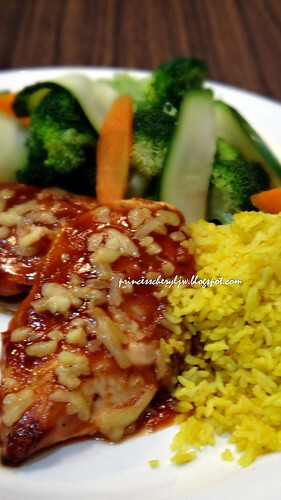 Two grilled boneless chicken breast topped with signature bourbon sauce and sprinkled with mixed cheese. 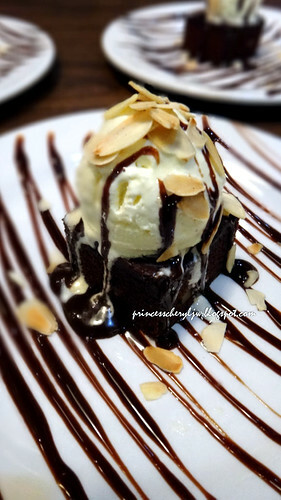 A piece of homemade brownie topped with a scoop of ice-cream, lots of chocolate sauce and nuts. 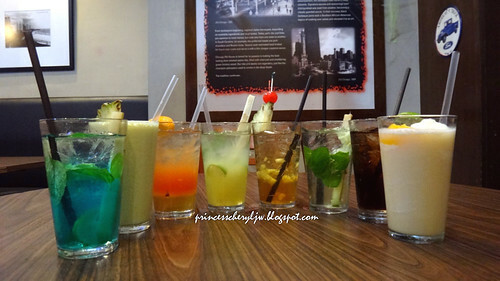 Good news for X-Mas! 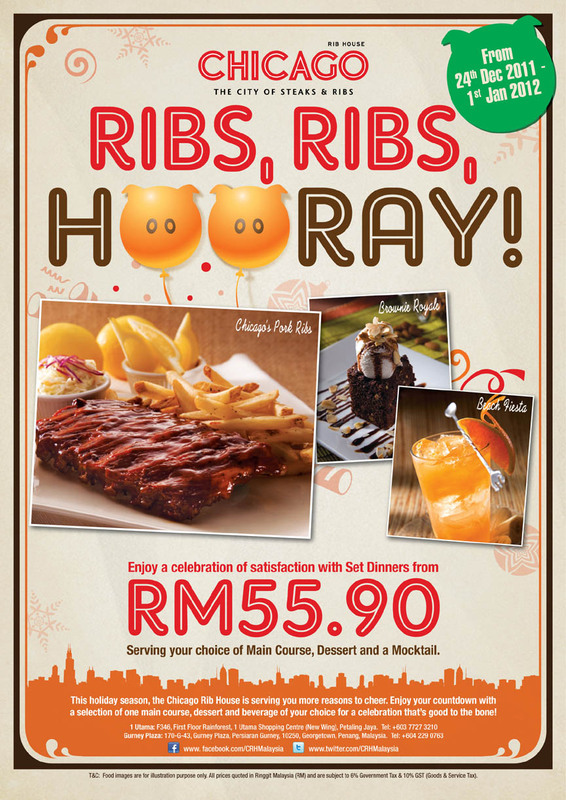 Now you can enjoy a celebration of satisfaction with set dinners from RM55.90! 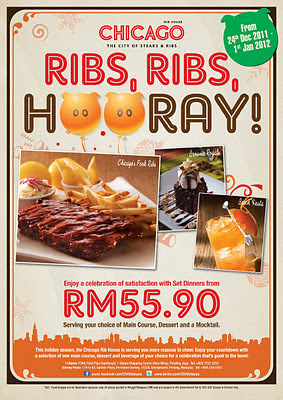 Available from 24th Dec 2011 - 1st Jan 2012.